9/9/09 will not produce any major Sega events commemorating the Dreamcast launch of 9/9/99, but the company is thinking about the future of its last gaming console in one key way. The head of Sega West, Mike Hayes, told me Wednesday that, despite the pride Sega has in the Dreamcast, it has no formal celebration to celebrate the 10th anniversary of its launch in September. "Generally we won't be doing anything that's official," he said. The main reason is that Sega has reinvented itself as a software company. And it's important for us to focus on the other platforms that are alive and current." "Informally, because there are people in the company who were involved in the Dreamcast launch, there will be celebrations," he said, "But as a company, publicly, that's going to be something we're going to be pretty low key about for obvious reasons. We're effectively a different company." Hayes said that Sega has reinvented itself as a software company, which makes it more fitting to focus on other company's hardware. "It's not to disrespect the excellent system the Dreamcast was," he said, "Or the innovations that were done on it, which I think were probably a few years ahead of time in terms of the online application. I just think we as a company are multi-format and we want to talk about our first-party platform partners rather than when we were a first-party." 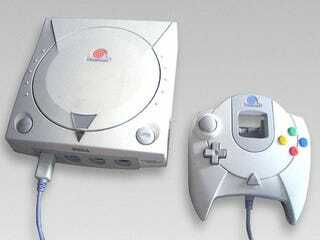 Dreamcast hardware may not the focus of any official Sega efforts, but Dreamcast software still has a future. Sega has aggressively distributed much of its older back catalog of games as digital downloads on home consoles, PC and portable machines. The Dreamcast line-up, comprised of bigger games, less easily brought to current platforms, is not going to be neglected, Hayes said. "I can't give you any details. Suffice to say, there's a lot of technical issues, a lot of licensing issues. But we are very keen to bring [them] to players in the way we've done with Genesis games. We want to do it, but it's hard work to get there. Hopefully we can build on that quite soon."